MUMBAI: Even as the elections in five states are being watched keenly, the local body elections in Maharashtra, particularly Mumbai, are being fought with the same zeal. Though the major fight is between the ruling partners in the outgoing elected body—the Shiv Sena—and the BJP, the Congress too appears to be desperate in making a comeback in the campaigning after almost loosing a week to infighting. With former union minister and Congress leader Gurudas Kamat deciding to campaign for party candidates in the city, most other senior party leaders in Mumbai too have fallen in line. Former chief minister Narayan Rane and ex-minister of state for home KripaShankar Singh too joined campaigning for BMC (Brihanmumbai Municipal Corporation) elections after Kamat. However, at several places in the rest of the state, the condition remained critical for the Congress with an apparent failure to contain factionalism within the party. There were also allegations of party’s ‘tacit’ understanding with the Shiv Sena. One of the former party MLAs who joined the BJP just ahead of elections alleged that the party has given weak candidates in most of the constituencies to help the Sena. 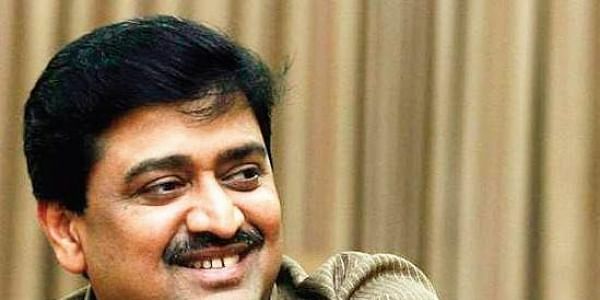 State Congress president Ashok Chavan blamed RSS and the BJP after his face was blackened by throwing ink on him at Nagpur on Saturday. However, it is now clear that Lalit Baghel and the three others, whom he named as accomplices in his act, are close confidants of former union minister and senior Congress leader from Nagpur Satish Chaturvedi. It is also being said that the rally where Chavan’s face was blackened was being held in Chaturvedi’s stronghold. In Pune, Congress saw a poster war. One of the posters, demanded Suresh Kalmadi, the leader who was arrested in Commonwealth scam, be brought back. Other posters, which were apparently put up by supporters of Kalmadi, also alleged party tickets were sold. Though party chief Sharad Pawar and his MP daughter Supriya Sule have taken upon themselves to lead the party campaign in the state, the NCP virtually has no impact in urban Maharashtra. Party leader and former deputy chief minister Ajit Pawar is busy doing damage control in Pimpri-Chinchwad corporation. Most of the party corporators from the city where Pawar had a strong grip had switched loyalty to the BJP just before the elections. The All-India-Majlis-Ittehadul-Musalmeen (AIMIM), which is expected to play a decisive role in Mumbai and a few other corporations this time got permission for its leader Asaduddin Owaisi’s rally in Pune on Monday.